GenreOnline.net: ZOMBIE KILLERS: ELEPHANT'S GRAVEYARD Screening/Party Saturday, February 21st at Bethlehem Sands Event Center! ZOMBIE KILLERS: ELEPHANT'S GRAVEYARD Screening/Party Saturday, February 21st at Bethlehem Sands Event Center! WHAT: Join screen legend Dee (E.T. The ExtraTerrestrial, The Howling), as she leads a special event screening of his new thriller ZOMBIE KILLERS: ELEPHANT’S GRAVEYARD at the Sands Bethlehem Event Center. In addition to introducing the film, Dee will participate in a Q&A after the screening, moderated by director B. Harrison Smith with fellow cast mates Felissa (Sleepaway Camp) Rose, ZeroGravityBand lead Michael Kean (making his feature debut) and crew members. In addition, the Sands Bethlehem Event Center will become a “playground for the dead,” complete with zombie bartenders, aerialists and a really Red Carpet! Executive Producer Jeff Trainer; Director of Photography Charlie Anderson. (“The O.C.,” Walled In), Felissa Rose (Sleepaway Camp, Camp Dread), and Brian Anthony Wilson (Law Abiding Citizen). anything threatens Elwood's last survivors. 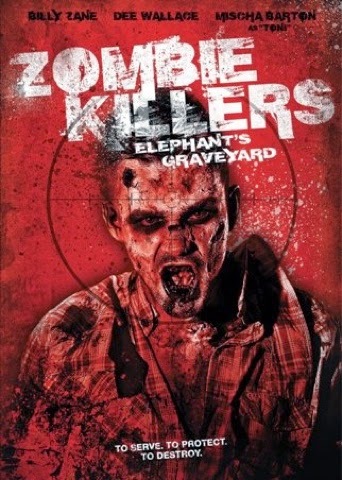 ZOMBIE KILLERS: ELEPHANT’S GRAVEYARD is now available on DVD and Blu-ray™ from Anchor Bay Entertainment.